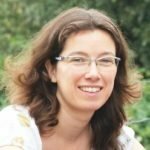 Martine van Haperen is a postdoctoral researcher in the Rural Riches project. She graduated as a Research MA from the European Archaeology division of the University of Amsterdam in 2009, with a minor in cultural anthropology. She was then employed as researcher for the ANASTASIS Merovingian cemetery project, which aimed to publish and analyze a selection of old cemetery excavations from the middle and southern Netherlands. In the autumn of 2011 she was granted a Promoties in de geesteswetenschappen position by NWO and started a PhD project at Leiden University. Her dissertation, which dealt with post-depositional interventions in Merovingian burials, was completed in the spring of 2017. Her task in the Rural Riches project is to study social aspects of early medieval production. Van Haperen, M.C., 2010: Rest in Pieces: an Interpretive Model of Early Medieval ‘Grave Robbery’. Medieval and Modern Matters, Archaeology and Material Culture in the Low Countries 1, 1-36. Van Haperen, M.C., 2013: The Distributed Dead: Personhood from the Perspective of Reopened Graves, in B. Ludowici (ed. ), 2013: Individual and Individuality? Approaches towards an Archaeology of Personhood in the First Millenium AD, Neue Studien zur Sachsenforschung Band 4, Stuttgard, 89-94. Van Haperen, M.C., 2016: Merovingian Reopened Graves. A Scenario-based Approach to Interpretation, in L. Gardeła/ K. Kajkowski (eds. ), 2016: Limbs, Bones, and Reopened Graves in Past Societies, International Interdisciplinary Meetings ‘Motifs through the Ages’ 2, Bytow, 123-147. Van Haperen, M.C., 2017: In touch with the dead: Early medieval grave reopenings in the Low Countries (unpublished PhD dissertation Leiden University). Van Haperen M., 2018: Exchanges with the Dead – Economic Aspects of Reopening graves,. in M. Kars/ R. van Oosten/ M.A. Roxburgh/ A. Verhoeven (eds. ), Rural Riches & Royal Rags? Studies on medieval and modern archaeology, presented to Frans Theuws, Zwolle, 110-114.